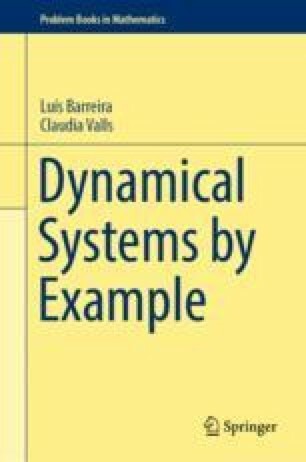 In this chapter we consider various notions and results of hyperbolic dynamics. Besides the notion of a hyperbolic set, we consider the Smale horseshoe and some of its modifications, the characterization of a hyperbolic set in terms of invariant families of cones, as well as the construction of topological conjugacies near a hyperbolic fixed point. Moreover, we consider briefly geodesic flows on the upper half plane and their hyperbolicity. We refer the reader to [28, 40, 41, 50, 54] for additional topics.